Any brand new product (in original packaging and plastic) can be returned for a FULL REFUND within 14 days of delivery OR you have up to 30 days to return your order and receive store credit. For defective items, we will replace your product for free. Struggling to pick out the perfect watch for that special someone? We have Gift Cards available for purchase that will ensure the recipient gets exactly what they want! Available here . We offer a 12 month manufacturers warranty on the movement of our watches. Our warranty covers all mechanics within the watch including the Movement and Battery along with manufacturing defects upon arrival. This warranty does not cover damages that may occur from everyday use. This includes water damage, accidental glass damage, scratches, strap damage, and theft. How long do I have to return my watch for a refund? You have 14 days from when you receive the watch to return it for a full refund. Watch must be in original condition. How long do I have to return my watch for an exchange? How long does it take for my exchange to process? During non-seasonal months, expect your exchange to be processed within 5-7 days after we have received your watch. During the Holiday’s, it takes 7-10 days. How can I return my watch? Once completed and approved, you will receive instructions. It is very important to print and include this form with your return. If this form is not included, the representative processing your return may not have enough information to complete your request. We will issue your refund within one business day of receiving your returned watch back to our warehouse and will follow with a confirmation email after this has been done. The refunded amount should be available on your card within 7-10 business days, depending on your Bank. Does OG cover the cost of shipping for returns & exchanges? For items covered by the warranty, we will provide you with a return label for all domestic orders. For personal preference exchanges, the shipping cost is provided by you. For International orders covered by the warranty, we will reimburse you up to $25 USD to ship the watch back. Did you order from another website like Amazon, Belk, or Nordstrom? We are happy to help you with an exchange, but we may not have all of your order information. Please reach out to support at Support@originalgrain.com and we will assist in your exchange / return request. Is your watch discontinued but under warranty? We will be happy to exchange your watch style even if it has been discountinued AND is covered under warranty still. You can choose any watch style for exchange (price difference may apply) or exchange for store credit. Once your order is successfully submitted the warehouse then processes your order within 2 business days of purchase. Orders are not shipped on weekends or holidays. If you’re order was placed after 9am PST on Friday, it won’t ship until the following Monday. Express shipping will not ship on Saturday or Sunday’s. All orders in the USA are shipped via USPS. We aim to deliver your product(s) to your door within 3 to 5 working days following the date your order is placed. Please see our Shipping page for more information. Orders placed outside the United States will be delivered anywhere from 10-20 business days from the date that it is shipped out (if you choose free shipping), not necessarily from the date that it is placed. Will International orders be subject to custom fees? All customs, taxes, import duties, or any additional charges by your local government are the responsibility of the recipient. There is a chance that you will not get charged duties/customs fees, however if you do get charged, we cannot be responsible for these fees in any way, as we do not receive this money. The funds go exclusively to your own government. Please contact your customs office for more information. For European, United Kingdom, and German customers, please visit our other websites (www.originalgrain.uk / www.originalgrain.eu / de.originalgrain.com) to avoid paying these fees. 2. Look around your house and yard for missed delivery notice. 3. Ask family, neighbor, property manager if the package was left with them. You can track your order by providing your order # and email here. We gladly accept most major credit cards such as Visa, MasterCard, American Express, and Discover or direct payments, all through PayPal. No, you are not required to have a PayPal account to purchase from this store. However, if you already have an account with PayPal, you may use that. The Original Grain online store uses PayPal to accept payments. PayPal automatically encrypts your confidential information in transit from your computer to ours using the Secure Sockets Layer protocol (SSL) with an encryption key length of 128-bits (the highest level commercially available). What’s the monthly payment system? We use a third-party platform called Affirm which will allow you to pay monthly payments for your watch. When you checkout simply select “Affirm” in the payment method stage. "Automatic” is just another term for “self-winding”, meaning the watch winds itself using a weight inside the watch that oscillates to put tension on the mainspring through the random motion of the watch wearer's arm. Batteries not included — or needed. We use all sorts of exotic hardwoods including Rosewood, Ebony Wood, Maplewood, Verawood, Mahogany Wood, Sapele Wood, Zebrawood, Burl Wood, American Oak Whiskey Barrel. All of our woods are FSC certified All our woods are naturally sourced and treated, After our wood goes through the handcrafted process this same wood continues to be a living, breathing material that responds to its environment. Wood will change color over time as it’s exposed to air and sunlight. Wood is also a hard thing to replicate over and over. We find this as a valuable part of our company as NO 2 watches will ever look the same, making them truly original. What type of steel do you use? We use 316L Stainless Steel. Our watches have not been treated with potential allergenic spray, We do caution people who have allergies to Nickel , Steel, Wood or polyurethane to make sure you do not come in contact with these watches or other watches who use these materials. Can I get my watch engraved? Unfortunately we do not offer engraving services, but there is space above/underneath our “Original Grain” emblem on the back of the watch that can be engraved. We suggest taking the watch to a local jeweler or engraving company to be engraved. This does not apply to the Automatic styles as it has a skeleton case backing. Our watches are recommended as “Splash Proof” meaning minimal water exposure, will have no problems keeping your watch looking fresh. We do not recommend long periods of exposure or full submersion in water. We don’t offer warranty for water damage. Currently our only fully waterproof watch is the Burl Wood Chronograph and the Alterra Redline Chronograph. 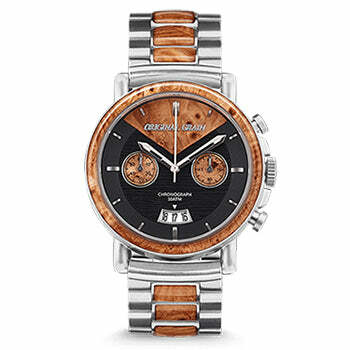 These watches feature an epoxy coating that protects the wood and is 10 ATM water resistance. What kind of movement do your watches feature? The majority of our watches contain a Japanese Quartz Miyota Movement. This is a reliable and popular movement. We also offer an Automatic 8215 Miyota Movement (21 Jewels / 40 Hour Power Reserve) in our Automatic watches For more information about each watch, see here. To set the time you have to pull the "Crown" out two clicks and turn clockwise to desired time. For the date, push the crown in one half click (you will feel it move and slightly click) then you can turn the Crown counterclockwise in which the date will start moving. Another option would be to change the date by changing the time until you reach the accurate date. How do I adjust the band? Original Grain watch bands are adjustable to fit most any size wrist. It’s likely that your watch will need to be adjusted before properly wearing. We strongly advise that you take your watch to a watch professional who can use the proper tools to either add or remove links, depending on the size of your wrist. What are the size of the bands, and can they be extended or sized down? Our bands run to 9" long with the face of the watch extending it another inch. 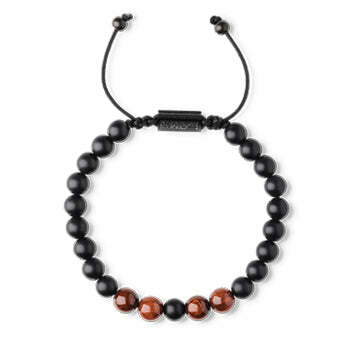 You are able to purchase additional links if needed just let us know prior to sending. We also have the Italian Leather strap. Our bands can be easily sized down to fit almost any wrist. If interested in enlarging a leather band, please have holes punched in it with a local watch or leather professional. What are the specs for The Classic? What are the specs for The Barrel? What are the specs for The Alterra Chronograph? What are the specs for The Minimalist? Can I exchange a watch I bought in retail? Looking for Wedding / Corporate gifting discounts? Congrats! We'd love to work with you to get you the perfect gift for that special location. Based on quantity ordered, we can give you a discount!  Please reach out to the support team - Support@originalgrain.com - for more info. Looking to see our watches in person? Check out our retail store locator here ! Can you stack discount codes? Unfortunately you can only use one discount PER order! Does Original Grain have a Code of Conduct?